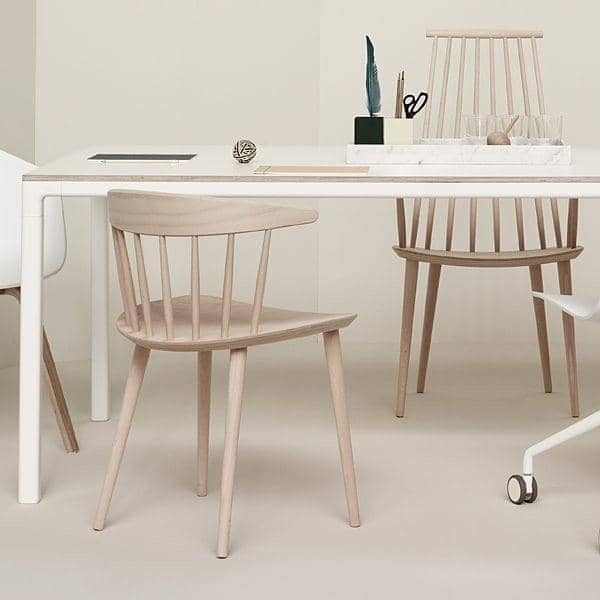 Title : Comment from Fabienne R.
The J104 dining chair is designed by Jorgen Baekmark and is made from beech wood in natural wood and 4 colours. 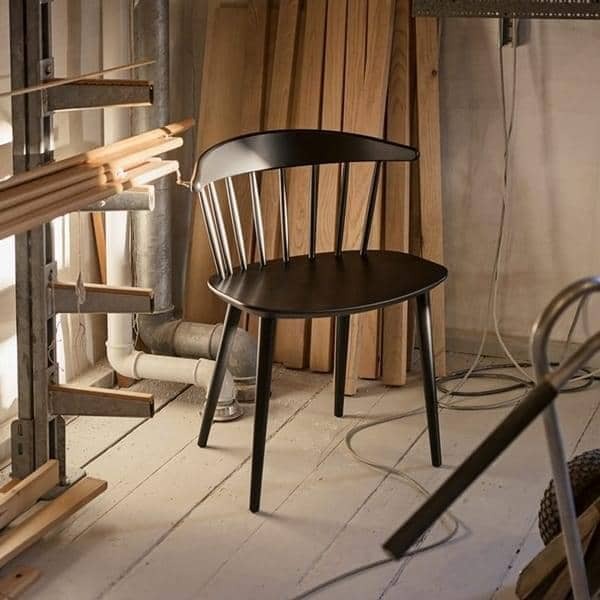 A great little chair by Jorgen Baekmark. 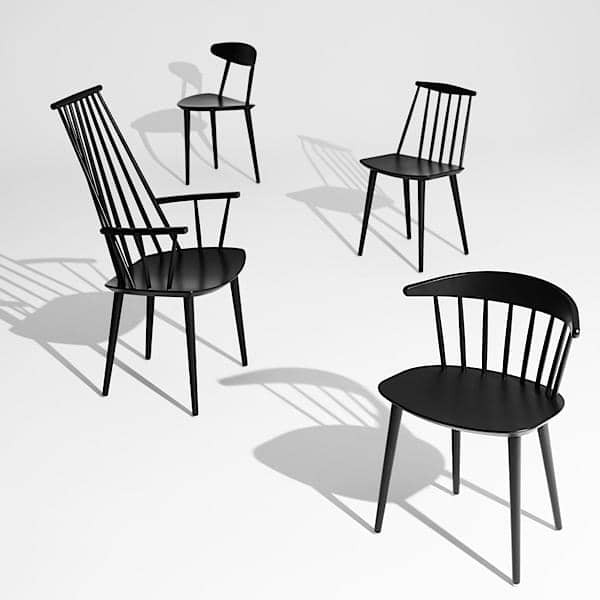 Danish and other Scandinavian designers were greatly influenced by the American Shaker movement, most notably the designers that worked for the Danish Furniture Co-op (FDB) such as Borge Mogensen, Poul Volther, Ejvind Johansson and Jorgen Baekmark. 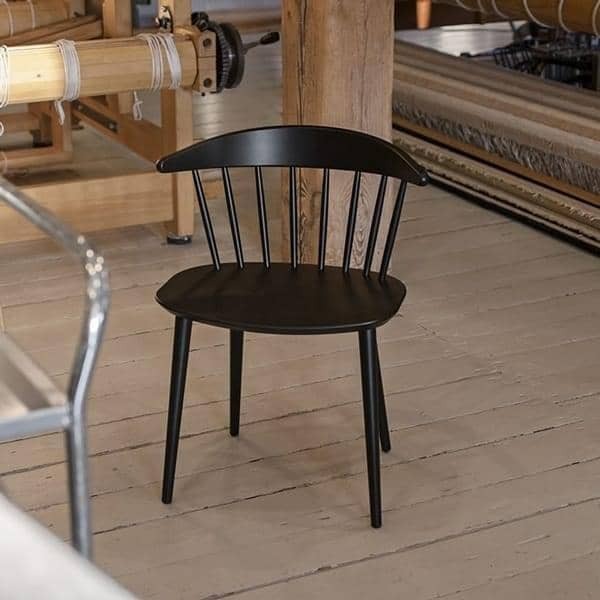 FDB's mandate was to provide affordable, well designed furniture for the mass Danish market and the Shaker movement provided influence to accomplish this. This particular chair is a simple but functional piece providing a variety of uses. Whether used as a dining, occasional or desk chair, it performs well in all cases. The deep backrest is supported by solid wood dowels and also acts as a short armrest.